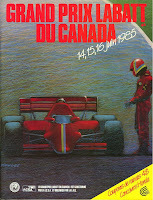 Dopo un mese di pausa, a causa dello spostamento del GP del Belgio per problemi all' asfalto, si torna in pista sul cittadino di Montreal: in prima fila ci sono le due Lotus-Renault con Elio de Angelis 1° e Senna 2°, quindi le due Ferrari di Michele Alboreto 3° e Johansson 4°, seguite da Prost (Mclaren) e Warwick (Renault). Al via de Angelis si porta in testa seguito da Senna, ma il brasiliano è costretto ai box per problemi al motore, così ne approfitta Alboreto per portarsi in seconda posizione; il pilota della Ferrari è velocissimo, attacca la Lotus e la sorpassa con una manovra all' esterno in piena velocità, portandosi al comando della gara. De Angelis deve cedere anche alla rimonta di Johansson, e negli ultimi giri deve rallentare e viene superato anche dalla Mclaren di Prost e dalla Williams di Rosberg. Grande vittoria dunque per Alboreto, davanti a Johansson e Prost. After a month off, because of the shift of the Belgian GP for problems involving 'asphalt, is back on track in the city of Montreal in the first row there are two Lotus-Renault with Elio de Angelis 1 ° and 2 ° Seine, then the two Ferraris of Michael Johansson Alboreto 3rd and 4th, followed by Prost (McLaren) and Warwick (Renault). At the start de Angelis moves to the head followed by Senna but the Brazilian was forced into the pits with engine problems, so took the opportunity to Alboreto to second place, the Ferrari is fast, it attacks the Lotus and passes with a maneuver to 'external full speed, took command of the race. De Angelis also must yield to restock Johansson, and in the closing laps to slow down and is overtaken by Mclaren Prost and the Williams of Rosberg. 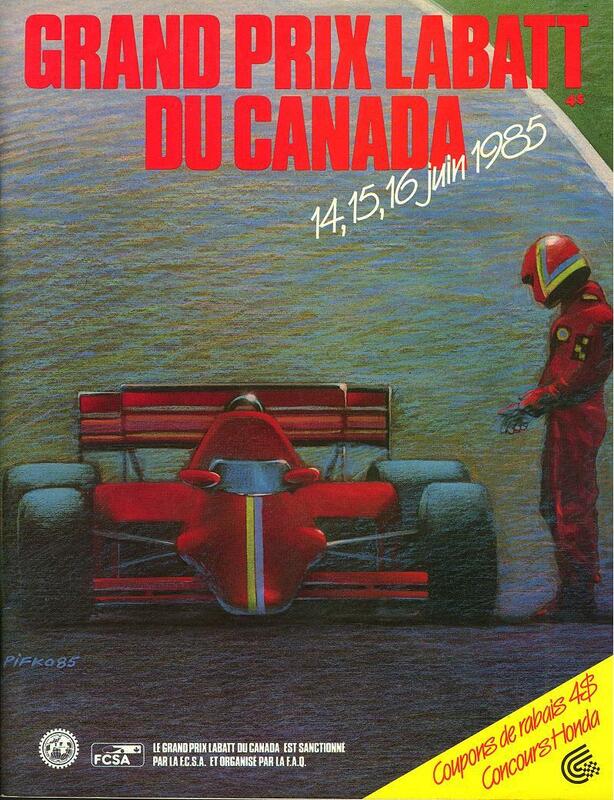 Big win for Alboreto therefore, before Johansson and Prost. Через месяц выключена, из-за сдвига бельгийского GP для проблем, связанных с "асфальта, вернулся на трек в городе Монреале в первом ряду есть два Lotus-Renault с Элио де Анджелис 1 ° и 2 ° Сены, затем два Феррари Майкл Йоханссон Альборето 3 и 4, а затем Прост (McLaren) и Уорика (Renault). В начале де Анджелис перемещается в голову следуют Сенна но бразилец был вынужден в ямы с двигателем проблемы, поэтому воспользовался возможностью, чтобы Альборето на второе место, Ferrari быстро, он нападает лотоса и проходит при маневре на "внешние полной скорости, взял на себя командование гонке. De Angelis также должен уступить, чтобы пополнить запасы Йоханссон, и в заключительном кругов, чтобы замедлить и обогнал Mclaren Прост и Уильямс Росберг. Большая победа для Альборето поэтому, прежде чем Йоханссон и Проста.